Massage is a vigorous workout for the body, perfect for alleviating high stress levels. Our Therapists will tailor your treatment to suit your specific needs, be that muscle pain, stress relief, relaxation or emotional balance. Your skin is prepped to release toxins so that the flowing massage works deeper into the tension, encouraging optimum circulation. We use three main techniques which are listed below. Please do let us know which technique you would like when booking, as each one requires specific preparation. 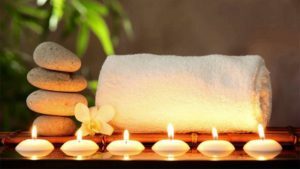 Aromatherapy Massage technique is designed to relax the entire body.It is accomplished by gently working the muscle with long, gliding strokes in the direction of the circulatory system. It is a classic treatment which will give you the relaxation you need. This Massage technique works on the deeper layer of the muscle tissue. Slower and firmer movements and pressure are used to unwind muscle tension and knots. Deep tissue Massage is particularly effective for anyone with muscle pain. The Hot Stone Massage therapy melts away tension, eases muscle stiffness and increases circulation and metabolism. Hot Stone massage promotes deeper muscle relaxation through the placement of smooth, hydro heated stones at key stress points on the body. This works on a deeper and more effective level than a Deep Tissue Massage. Condition your skin and body with this all embracing experience. 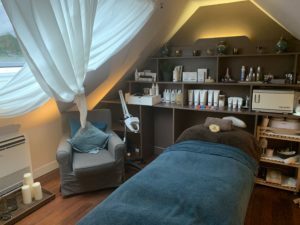 A relaxing and nourishing 60 minute facial combined with a personalised massage.